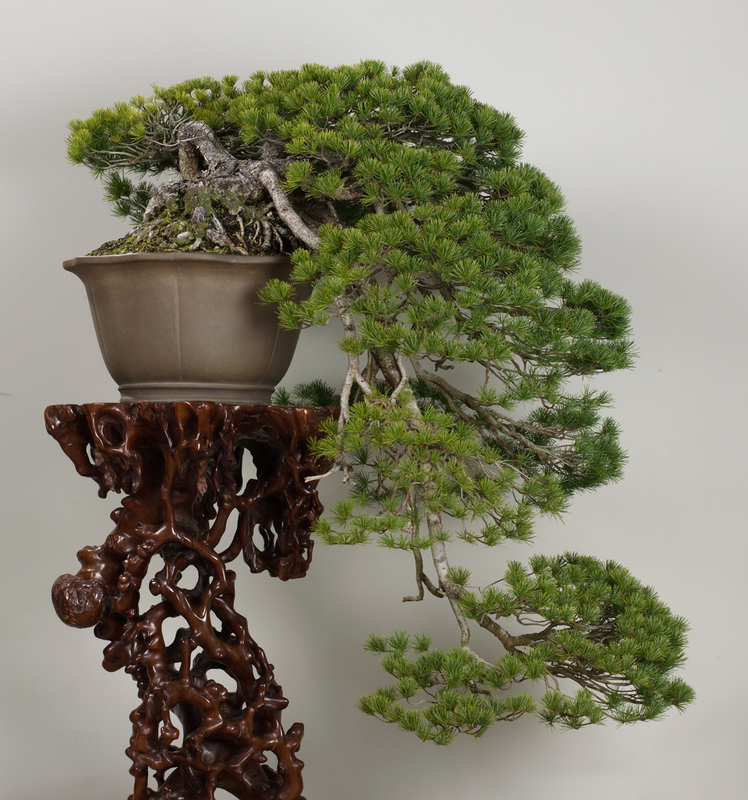 This bonsai has been tailored in the cascade style, giving it a form that resembles a tree having withstood the wind and snows after taking root atop a cliff. The root base covering the pot upheaves then white skinned branches flow downward, calling to mind strands of water falling in a waterfall. 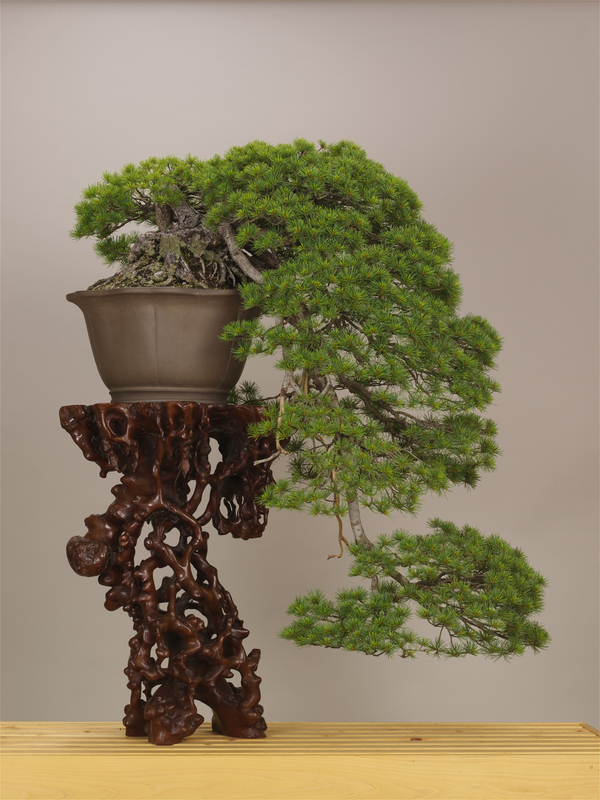 The masterpiece is well suited to its name, which means Waterfall of White Threads.